Disclosurer: I was compensated for this post. However, all thoughts and opinions are my own. Some people plan in advance to start their families – for some, it’s a big surprise! When you’re thinking about starting your family, your doctor will often ask you about your family history. But did you know there may be surprises in your family tree? Genetic carrier screening can help you make informed reproductive decisions as you start your family. When you first find out that you’re pregnant, your mind starts swirling with thoughts and plans for the future. What will they look like? What will the like to do? Will they be smart? Funny? Athletic? Creative? What am I going to name this kid??? For me, as an adopted person, I started thinking about possible genetic diseases and other issues. Since I don’t have a full family history, I was worried that my family tree may hold some surprises. The Nurse practitioner I met with at my first appointment, didn’t help to alleviate those concerns. As we were finishing up the appointment, she suddenly said “Wait…You’re not Irish are you?” I looked down at my hands, freckled and pale, “Uhm…well…yeah, I am.” I said. “Well, You should get tested to see if you’re a Cystic Fibrosis carrier, since it’s more common with Irish people…Is your husband Irish?” I told her that he was not. “He isn’t French Canadian is he?” I told her that yes, in fact, he was. “Well, you DEFINITELY need to be tested, and if you’re a carrier, you MUST get him tested as well! I knew about Cystic Fibrosis, as we have a family friend whose granddaughter has it, but this was the first time I’d ever considered that I could have a child with CF. What if Dave and I were both carriers? Cystic fibrosis (CF) is an inherited disorder that causes severe lung disease and digestive system problems. It affects the cells that produce secretions like mucus, sweat, and digestive juices causing them to be thick and sticky not thin and slippery. Instead of acting as a lubricant, the thickened secretions clog airways and various glands in the body, especially in the pancreas and lungs. Symptoms of CF range from mild to severe and may include progressive lung disease, nutritional deficiencies related to chronic digestive problems and decreased pancreatic function, and infertility in men. CF does not affect intelligence. The average life expectancy is about 37 years for individuals with classic CF. Life expectancy is not typically impacted in less severe (atypical) cases of CF, which have minimal or no lung and/or pancreatic involvement. The incidence of CF is approximately 1 in 4,000 among a pan-ethnic population. Specific carrier frequency estimates differ by ethnic group. If the mother and father are both found to be CF carriers, there is a 1 in 4, or 25%, chance in each pregnancy for both partners to pass on their CF gene mutations to the child, who will then have CF. Males and females have an equal chance of being affected with CF. I told her to send my blood to be tested and a few days later, I received a call. “You tested positive. 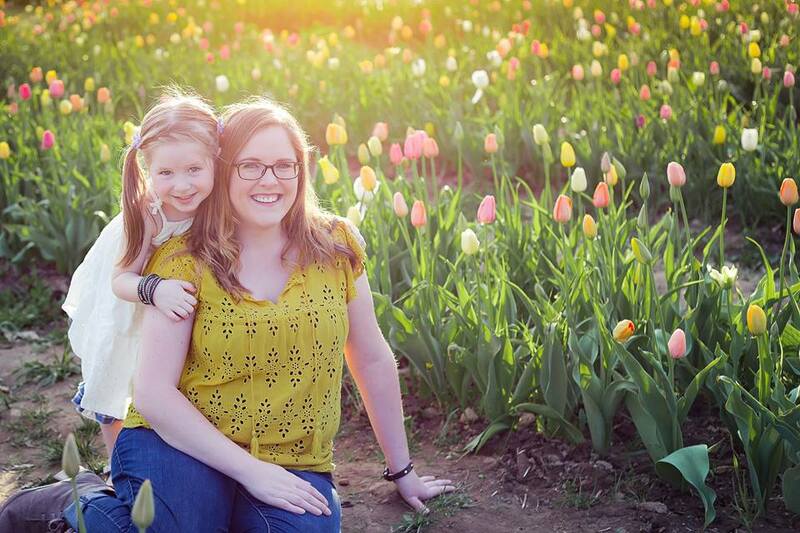 You are a carrier of the Cystic Fibrosis genre.” To say I was terrified would be an understatement. I knew we needed Dave to get tested right away. I have many friends who opted not to have any genetic testing done, because as they’d say “It won’t change anything, we’ll still love our baby no matter what.” While I understand and respect their feelings, for us, it was important to know. We couldn’t NOT know. I wanted to give our child the best shot she could have. While termination was never a consideration for us, we felt that we needed to be able to prepare ourselves for whatever may happen. Symptoms of genetic diseases are not always evident at birth and may not be diagnosed until childhood. This may cause a delay in helpful medical and therapy interventions. Thanks to carrier screening tests such as Horizon, more couples at risk of having a child with a genetic disease are being detected earlier. 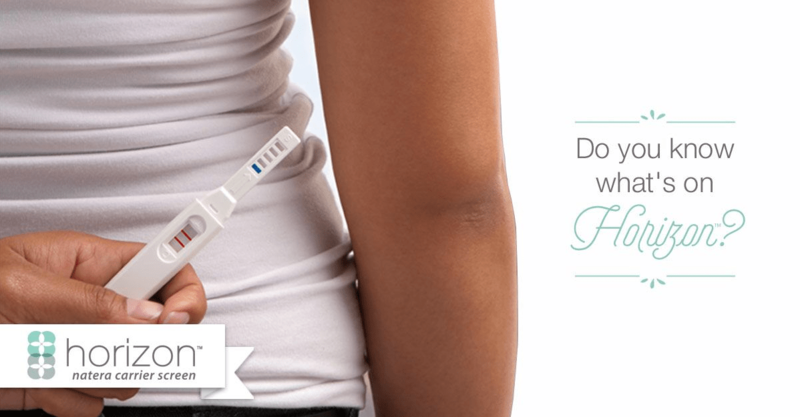 This allows for diagnosis in the newborn period, prenatally and even pre-conception. Early carrier detection helps couples make informed reproductive decisions and ensure that babies affected by these diseases get the best care possible including early therapy and intervention. We wanted to know, so that we could ensure that our child would have the best care possible throughout my pregnancy, and at birth. I wanted to make sure we had the perfect team of doctors and specialists there to give her the best start in life. Fortunately, Dave’s test came back negative. He is not a carrier of the CF gene. Having this information was such a relief to us, and gave us the peace of mind we needed. I would absolutely recommend this testing for anyone, especially adoptees like myself, who have no knowledge of their family medical history. The Horizon carrier screen is a simple test that looks at your genes to see if you are a carrier for specific autosomal recessive and X-linked genetic conditions, such as cystic fibrosis or Duchenne Muscular Dystrophy. It is common for people to be carriers of at least one genetic condition. Carriers are usually healthy; however, they have a risk of passing on a genetic condition to their children. If you and your partner are both carriers for the same recessive genetic disease, you have a 1 in 4, or 25%, chance of having an affected child in each pregnancy. If a woman is a carrier of an X-linked disease, she has up to a 50% chance of having an affected child in each pregnancy. Horizon can provide valuable information to you about your carrier status before or during pregnancy. Who needs a Horizon genetic carrier screen? It’s very common for women to have concerns about the health of their baby. If you have concerns, you should talk with your healthcare professional. He or she will advise you as to what non-invasive prenatal tests you might want to have to help give you peace of mind. This entry was posted in Pregnancy, Uncategorized and tagged family, genetics, horizon, medicine, natera, pregnancy.